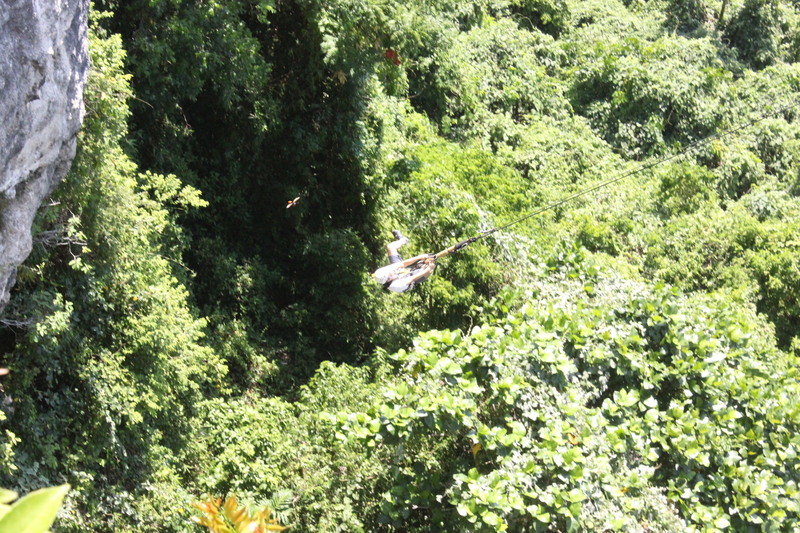 Suicide, or a close approximation of: free falling in a 180-meter high gorge, then swinging like a pendulum over a river. It is a thrilling albeit unpleasant experience. The sensation of zooming downwards is exhilarating, yet I discovered (as suicides who jumped off cliff have perhaps also discovered) that gravity seems to affect body parts differently. My insides appear to be more susceptible to the sensation of plunging – I had the feeling that my intestines were being sucked out of my behind by a high-powered vacuum cleaner. Welcome to E.A.T. 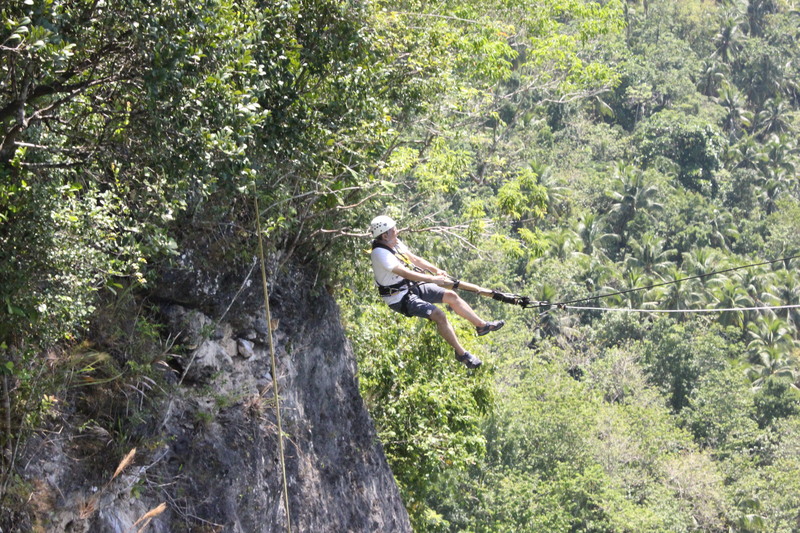 Danao’s The Plunge. 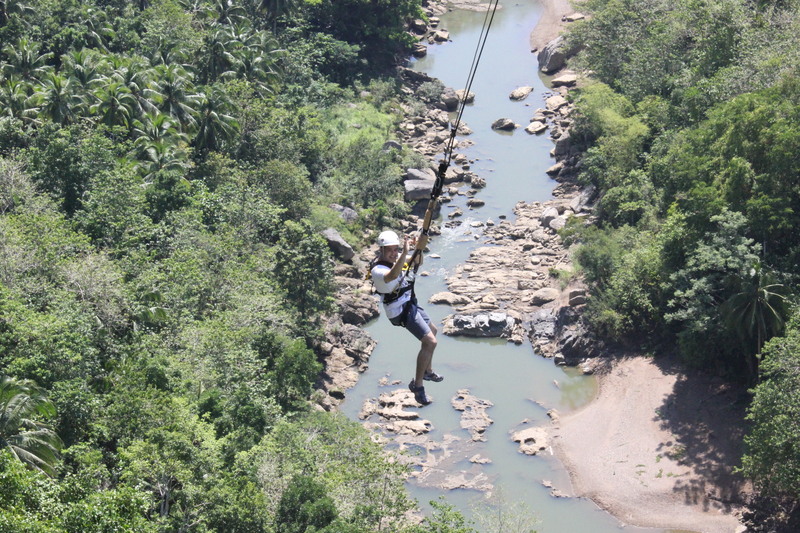 The Plunge is a canyon swing, an extreme adventure similar to bungee jumping albeit – as the name implies – you swing downwards instead of plunging straight to the ground. 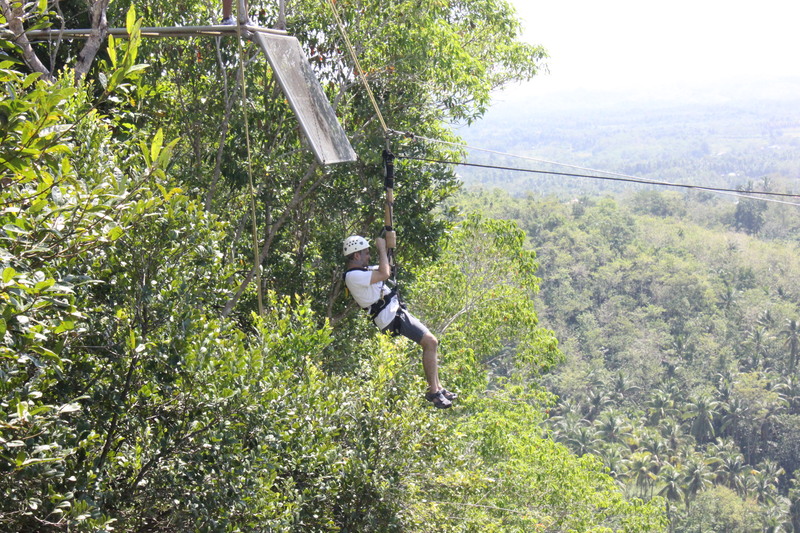 Before taking the swing, you are strapped to cable which is attached to a metal structure that extends from the edge of a cliff, and you walk to the edge of a flimsy metal walkway. The edge slowly gives way and you dangle in the air; the cable drops and, depending on how you react to the threat of being smashed against the rocks below, you piss your pants, curse the high heavens, or cry for your mommy. 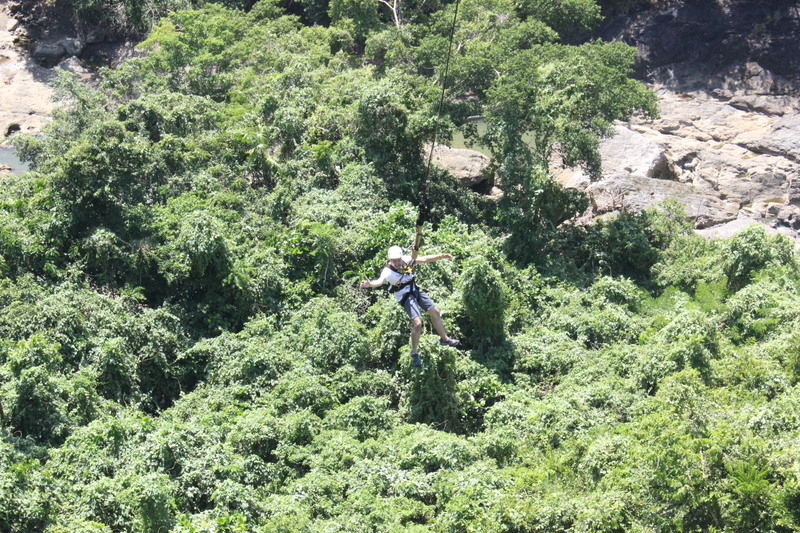 The Plunge costs P700. This is a generous offer: aside from the equipment and the labour of ensuring a thrilling but safe experience, you also get subtle taunts from the crew (“Sir, alam niyo ba na 70% ng customer namin ay babae .”) and a hilariously tacky certificate of completion (“Certificate is awarded to Joseph C. Sanchez for having completed a degree in FEAR MANAGEMENT and surviving the challenges at Danao Adventure Park.”). 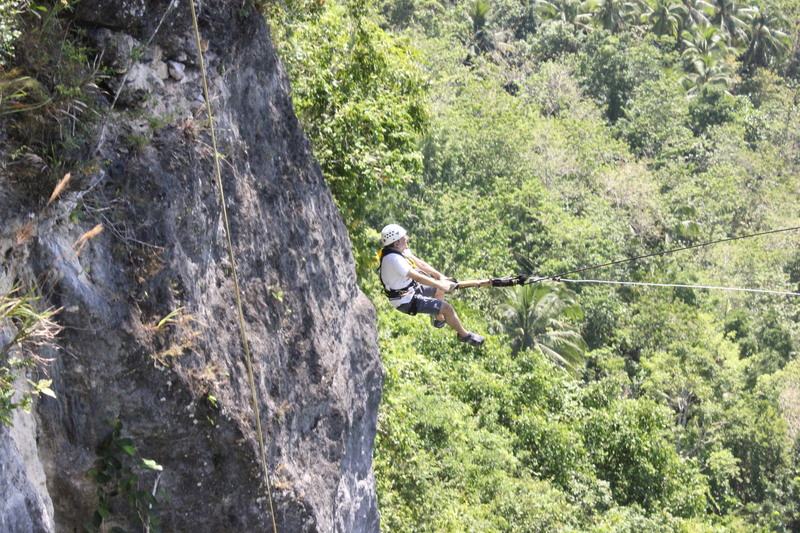 A few meters away from the Plunge is Cliff Rappelling. 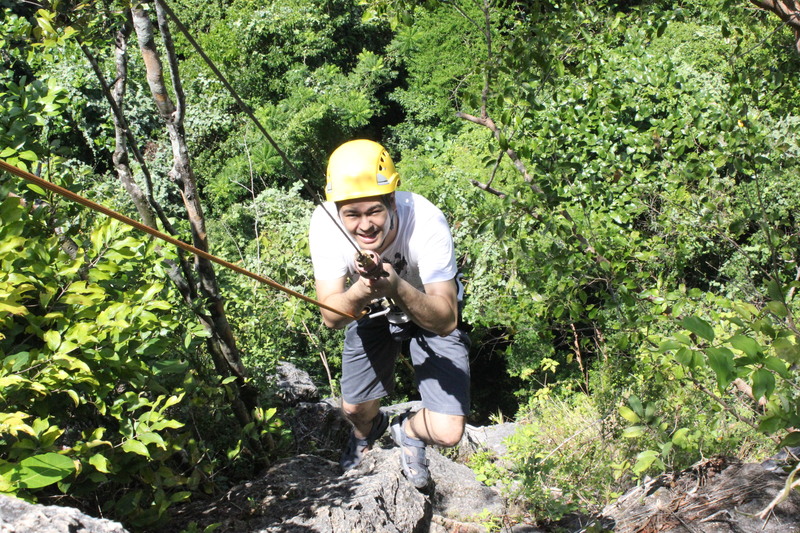 It is less thrilling but equally fun (though I have to admit I was scared of leaning away from the rocks while rappelling). 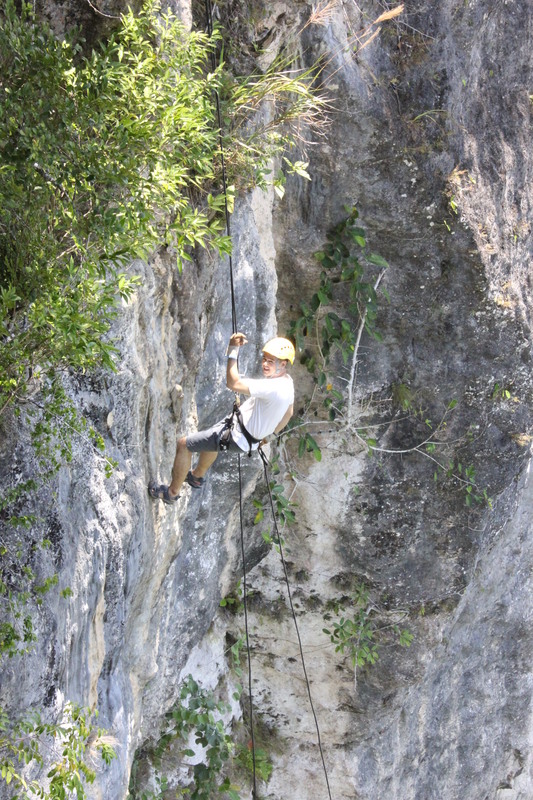 The height of the cliff is 60 meters; you would be assisted by a crew rappelling down, while a mechanical gizmo would pull your cable upwards after you reach the ground. 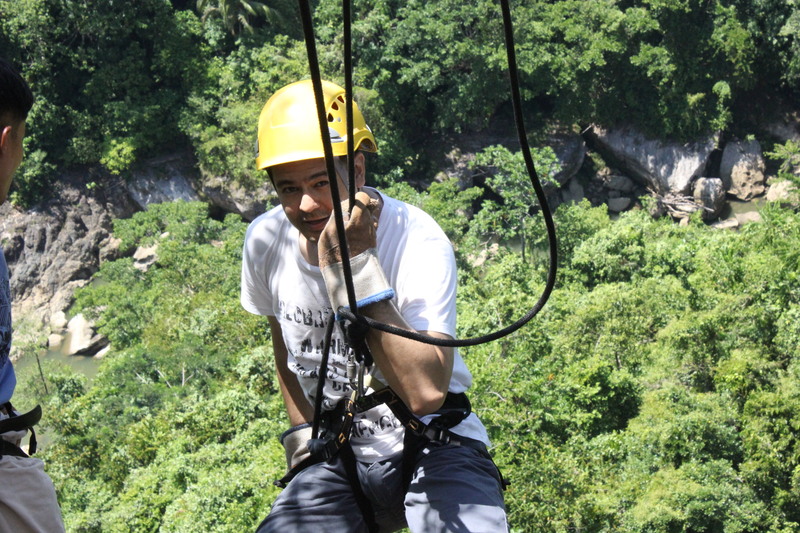 I paid a ridiculously expensive amount to a taxi driver to bring me to Danao (so ridiculous I’d rather not mention it). A cheaper alternative (according to some sources) would be to ride the Public Transportation Bus or the Service Van going from Tagbilaran to Danao.